SuisseID is the Swiss standard for digital identity. With this, people identify themselves definitively online and sign legally valid contracts electronically. It is therefore a digital passport and signature at the same time. SuisseID helps companies and authorities make online processes efficient and secure. Here you can purchase and manage SuisseID or contact the support team. Note: This online service has its own login and does not function via the central Swiss Post login. Today many documents are printed out only for one reason: because they need one or more signatures on account of legal requirements. With a qualified electronic signature, however, business processes are carried out entirely digitally and are legally valid. Printing and collecting signatures, sending by post and, if necessary, scanning are no longer required. The signature services of Swiss Post mean it is simple to integrate the legally valid electronic signature into processes and benefit immediately from an increase in efficiency and control. Many online services need a secure login for access to personal data. For you as an online service provider, providing two-factor authentication was previously associated with a lot of work for initialisation, operation and user support. With SuisseID you put all this into the hands of Swiss Post. On request and with the permission of the owner, SuisseID can electronically confirm passport information such as name, age, home town or gender. SuisseIDs with company entry can also verify the organisational affiliation and the position of a person. SuisseID including Mobile Service is available on various data carriers for a period of validity of three years. Before the end of the period of validity it can be extended for a discount price. If you have SuisseID without Mobile Service, you can now activate the Mobile Service at no extra charge. The signature software SwissSigner is included with all versions of SuisseID. Payment by credit card is free of charge. To obtain an up-to-date, certified trade register excerpt there are fees to be paid at the trade register office. If you are already in possession of an up-to-date, certified trade register excerpt, there is no need to obtain a new one. In the online shop choose the appropriate SuisseID for you, fill in the application form and pay online. With a valid ID card or your passport go to your local post office or local authority. Our employees will issue you the "Yellow Identification" quickly and without complication after you have presented the signed SuisseID application form and your voucher. This means you are authenticated for your SuisseID. Send the signed application together with the "Yellow Identification" to the address in Kriens indicated on the application form. After a few days you will receive SuisseID as a chip card or USB stick by post. One or two days later the TIN/PUK sheet for initialisation will arrive. Follow the installation instructions on your computer and set your own secure password (PIN). SuisseID is now ready for use. You will find more information on the order process here. In 2009 the Federal Council, as part of the third phase of economic stabilisation measures, decided to promote a functioning and trustworthy electronic economic area. This also included the accelerated introduction of SuisseID as a digital passport and signature. In May 2010 it was finally launched in the form of a chip card and a USB stick. On 8 May 2017 the SECO granted the trademark rights for SuisseID to SwissSign AG. 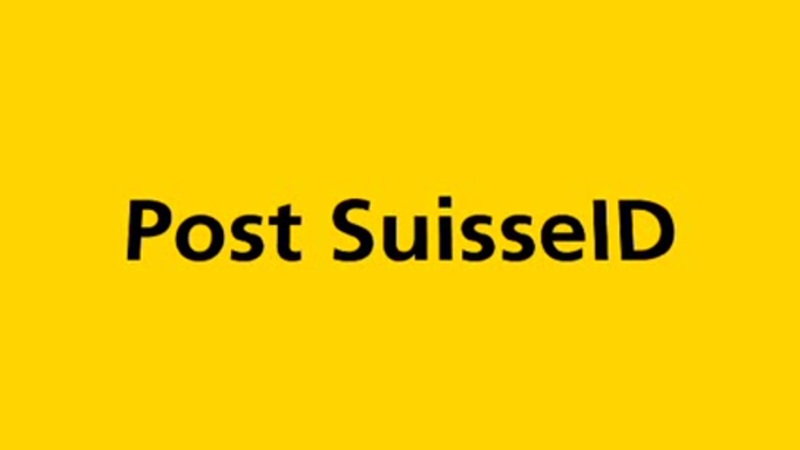 SwissSign AG, the joint venture of Swiss Post and SBB, is now the owner of the SuisseID brand. What can I use SuisseID for? Concluding a contract essentially means declaring it legally valid with a signature. For documents in paper form this is done with a pen. With digital documents you use SuisseID to provide a legally valid signature. An electronic signature with SuisseID is equivalent to a handwritten signature and can be integrated without problem into existing processes. This saves time and money. Many online services need a login for access to personal data. For you as a user this previously meant that you had to manage many different login methods, user names and passwords at the expense of security. For online services which offer login with SuisseID you can forget about the problem of your many user names and passwords. With SuisseID as a standard login you access many applications. On request and with the permission of the owner, SuisseID can electronically confirm additional information on the identity such as age, home town or gender. This electronic proof is done via the so-called «identity provider (IdP service)» of Swiss Post. One customer that uses this service is Swisslos: Thanks to the login with SuisseID and the IdP service, Swisslos recognises at all times who is using its online services and whether this person is of legal age and therefore has the right of use. Other examples of applications can be found at www.suisseid.ch. I do not live in Switzerland. Can I still obtain a SuisseID? Every natural person can obtain a SuisseID. Including people who do not live in Switzerland. What is the difference between an electronic and a scanned signature? A scanned signature is not legally binding because it is not certified. SuisseID, however, contains a qualified electronic certificate which makes the electronic signature stored in it legally binding (according to the Swiss Code of Obligations, Art. 14, 2bis). Which laws regulate electronic signatures? Swiss Code of Obligations (Art. 14 Para. 2bis): Electronic signatures were made equivalent to handwritten signatures in Switzerland by the legislature. The legal foundations of qualified signatures with SuisseID (ZertES) are based on the EU Directive 1999/93/EC. Can VAT-compliant documents be signed with SuisseID? Yes. Qualified certificates like the ones SuisseID contains fulfil the requirements of the «Ordinance of the Swiss Federal Department of Finance on electronically transmitted data and information (ElDI-V)» and the «Company accounts decree (GeBüV)». This means you can also provide individual invoices with a VAT-compliant signature with SuisseID, for example. Find out more about SuisseID, electronic signature and current examples from practice.